The Moog Minitaur is an amazing analog synthesizer which has some amazing tone. 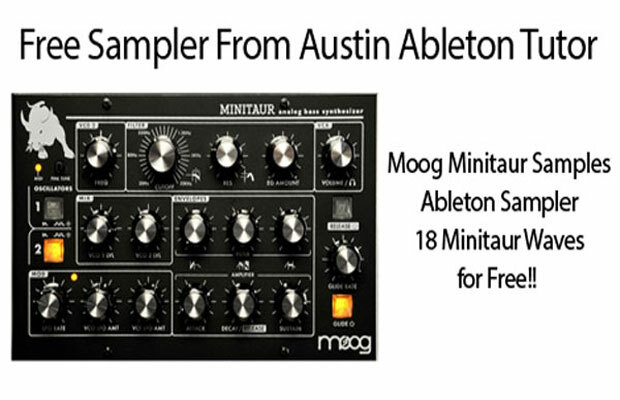 Austin Ableton tutor’s Ableton Certified Trainer Jimmy Allison created 17 different free samples for the Moog Minitaur. He sampled multiple combinations of wave forms, and used the filter to create a few sine waves. He also turned of the oscillators and and used the filter resonance on the Moog Minitaur to generate a sine wave. All of these free Samples are loaded into a Free Ableton Sampler Pack. You can also just get the raw Moog Minitaur free samples out of the Sample folder and use the free samples how ever you wish. 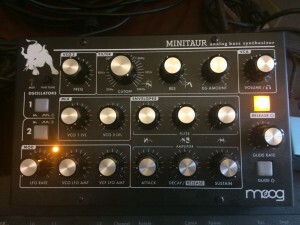 You can use the Free Moog Minitaur Samples even if you do not have Ableton Live. Their is nothing like using real Analog flavor to spice up your track. Monday July 27th Austin will be offering a free webinar about sampling hardware synths using Ableton Live. Space is limited so register here. This is the little beast that was used to generate the free samples for the Moog Minitaur sample pack. Feel free to use these free samples how ever you wish they are Royalty Free curtesy of Ableton Certified Trainer Jimmy Allison, Austin Ableton Tutors music production, performance, and DJ teacher. For more information feel free to contact us. If your interested in Ableton Live also check out the Ableton Live website.